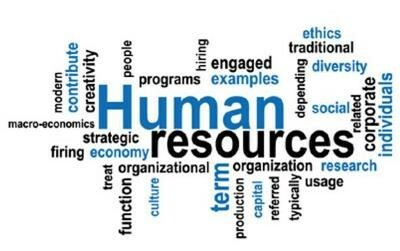 We’re seeing the pace of change in human resources (HR) accelerate as digital technologies change the way we work, as digital natives enter the workplace, as labour law evolves and as competition for the best talent heats up. During 2017, we expect to see HR departments turn to technology to automate more of their work and to become more data-driven in their decision-making. From recruiting talent to interacting with employees, the mobile phone is becoming the most important HR touchpoint for job candidates, employees, managers and other stakeholders. Today’s employees and jobseekers want it to be as convenient and easy to deal with an employer as it is to bank online or via a mobile app. Employers who want to attract young talent should make sure that their online job advertising and application processes are seamless, convenient and optimised for mobile devices. Many companies already allow employees to use mobile apps to file expense reports and leave applications, change personal details, and access their payslips. In future, employees will increasingly access career and training information, performance feedback, and other important data from mobile apps. Such apps must be attractive, easy to use, and functional so that users will love coming back to them. Managers will also want to be able to access information such as performance reviews from their smartphones. HR is about to change dramatically with data analytics becoming a way of life for HR directors and HR managers. As HR professionals have more data (gathered through digital interfaces like employee self-service) about employees and the business at their fingertips than ever before; they will begin to use analytics to make better decisions and to shape superior employee experiences. Where did we find the best hires for our business, i.e. top performers who have we retained for a good while? How many people will we need in our service department to support our forecasted revenue growth of 10% for the next financial year? What are the possible reasons for high employee turnover in the call centre? What skills gaps do we have in our organisation? We are seeing the worlds of payroll, HR and business management solutions move closer together as organisations adopt integrated solutions to gain better control over their workforce costs and create stronger engagement with employees. One benefit lies in the fact that data and transactions don’t need to be captured multiple times across different business applications. In addition, such systems give HR teams a complete view of their relationships with employees, from on-boarding to engagement, talent development and performance management. This empowers HR to react to the needs of the workforce and the business in a more agile manner. We have seen a lot of discussion in the past year or two about the value of annual performance reviews, and many large organisations around the world have streamlined performance management or even done away with annual reviews. Though I don’t foresee most companies scrapping annual reviews, I expect that performance management will change to cater for a changing work world. We’ll see companies give employees feedback more frequently, perhaps each month or even each week, rather than once a year. This will help managers and employers to constantly monitor performance, identify challenges and opportunities and recalibrate employees’ alignment with its strategic objective. Annual reviews are useful in this regard, but they’re not frequent enough in a business world where the pace of change is so fast. Recent research by the Society of Human Resource Management shows that in the past five years, recruitment using social media has increased by 54%, with one out of five candidates applying for a job through social channels. There are many tools that can streamline the recruitment process, from managing job applicants and filtering CVs, to interviewing and screening candidates, and right up to the on-boarding process. 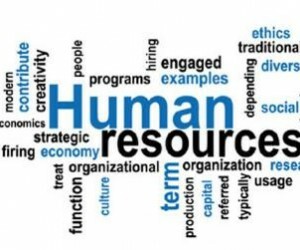 Though the human touch will always be important in HR, companies will extend their tools such as online applicant tracking, talent communities, social media and internal career portals. Online platforms such as Sage SkillsMap give organisations direct access to people in Africa and abroad who are looking for jobs, as well as the tools they need to publish their jobs to the Web and track the applications they receive. These tools help automate a lot of the paperwork for them, while providing access to high-quality candidates. According to a recent EY Sub-Saharan Talent Trends and Practices Survey, the strength of the employer brand is the most important factor in attracting talent. Companies must focus on creating a positive culture; a quality workplace and a good employee experience since employees value this as much as they do money. Given that top professionals in most fields can choose where they work, employers need to sell their workplace experience and the benefits they offer to employees with as much enthusiasm as marketing departments sell the company’s products and services.